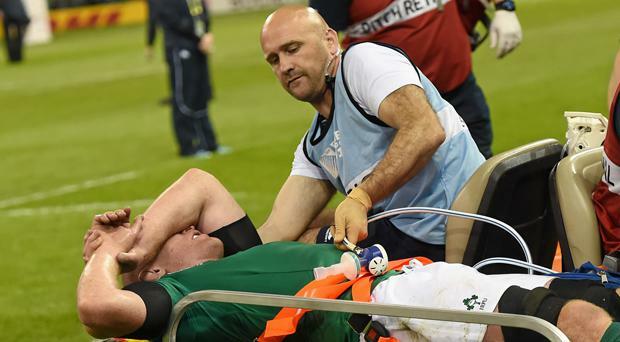 World Rugby have announced that Dr Éanna Falvey, the former Ireland team doctor, has taken up the newly-created position of Deputy Chief Medical Officer. He will take over as Chief Medical Officer from Dr Martin Raftery in January 2020. Dr Falvey is a former doctor for the British and Irish Lions, Ireland and Munster teams. He has been working with elite athletes for more than 15 years, covering a wide range of sports including football and boxing and has been a vital member of World Rugby’s Medical Commission Conference and Concussion Working Group. He is the author of multiple peer-reviewed publications in the British Journal of Sports Medicine. World Rugby Chairman Sir Bill Beaumont said: “Player welfare is the number one priority for World Rugby and its unions and I believe that we are at the forefront of the sports movement in the important area of injury prevention and management. “Dr Falvey is an outstanding appointment. He comes with an impressive CV, a great reputation and a deep knowledge of the sport’s approach to medical and player welfare matters, having made strong contributions to various World Rugby medical and concussion working groups and also as team doctor for Ireland and the British and Irish Lions. He has an in-depth understanding of wider sports and athlete welfare and we look forward to welcoming him to World Rugby.